DeM Banter: since we have been talking about bold leadership…I imagine this is too bold? Of course this might only be Tom Ricks’ opinion…thoughts? BRET BAIER, FNC HOST: Back here at home, it appears one of the military’s top leaders is being forced out of his post for, perhaps, doing his job a little too well. National security correspondent Jennifer Griffin is live tonight with details. Jennifer, what do we know? JENNIFER GRIFFIN, FOX NEWS NATIONAL SECURITY CORRESPONDENT: Good evening, Bret. 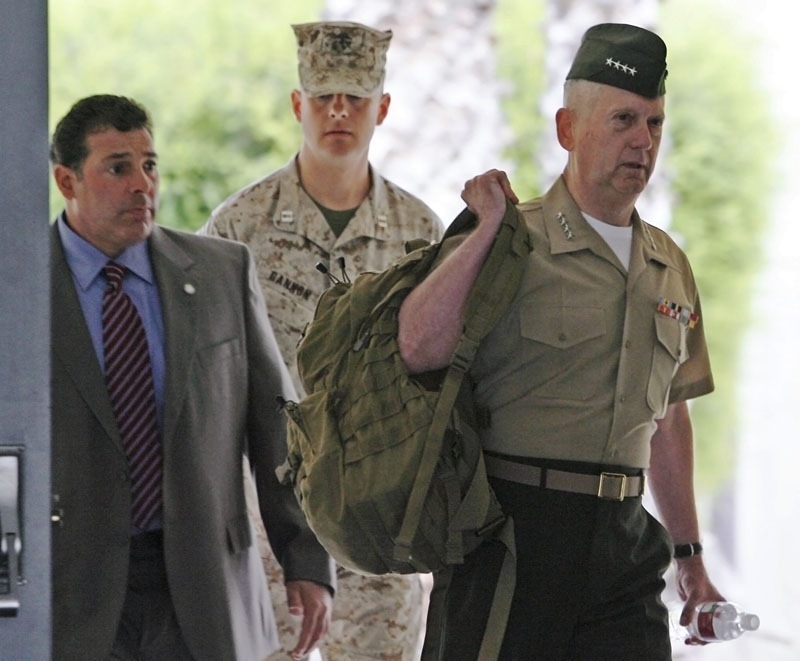 Insiders say CENTCOM commander General James Mattis increasingly made the White House nervous and that, privately, he butted heads early on with national security advisor, Tom Donilon, over Iran. Author Tom Ricks, reports Mattis is being pushed out several months early at a crucial point in terms of planning vis-a-vis Iran, a view confirmed by those close to the CENTCOM commander. That, according to Tom Ricks. The Pentagon strongly disputes claims that Gen. Mattis is being pushed out. Spokesman George Little knows that on average, combatant commanders serve 2.7 years. Mattis will have led CENTCOM for 2.6 years in March when he is set to be replaced — Bret. BAIER: OK. Jennifer Griffin, thank you.